Well, let me tell you right up front, Wall-E is a charming movie; in fact, we liked it so well that we went back to see it a second time a couple of days later. The basic storyline is that Wall-E is the last robot left operating on an Earth that humans have long ago abandoned (to live on an enormous spacecraft), as it is inhospitable to life. The Wall-E unit is, basically, a trash compactor, and we first see this last remaining Wall-E building towers out of cubes of trash that he has compacted. His only companion is his pet cockroach (hey, they can survive almost anything). He’s clearly lonely, and yearning for something more. Enter EVE, who is deposited and left on Earth to look for signs of life. One of EVE’s arms is hollow, and can discharge what seem to be high energy impact charges. When something startles her she whips out her arm and blasts at it. This does happen a few times within the first 10 minutes of her being introduced into the story, but nothing is acually harmed. The other main ‘issue’ in the move is that, when the captain wishes to return the spacecraft to Earth, the ship’s auto-pilot precipitates a mutiny. However, it is not violent, and not scary. This movie – which carries with it a strong message of “people are messing up the Earth” – is a very sweet movie, and I highly recommend it for anyone over the age of, say, 8. For children under the age of 8, the blasting may be a little intense. Now, all that said, the video that plays before Wall-E, which is called “Presto”, we found completely distasteful and very violent. It is about a magician and his rabbit, and the hijinks they get into, which includes smashed hands, electrocution, pokes in the eye, and having a ladder rammed into the magician’s crotch. 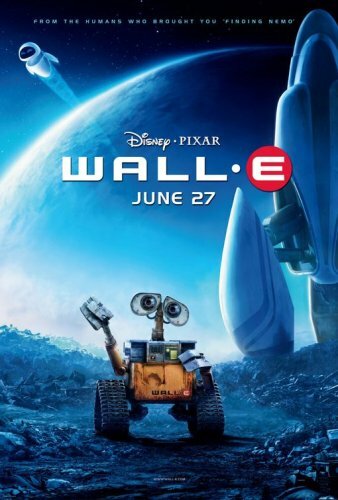 As someone who’s been on the fence about seeing Wall E, this is excellent news! And just as an aside, I’m surprised Cher wasn’t cast along with the cockroach, but no one asked me. Thanks for the 411!